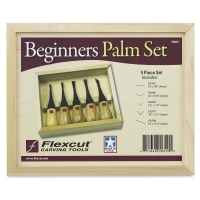 The Flexcut Beginners Palm Set features five essential wood carving tools. 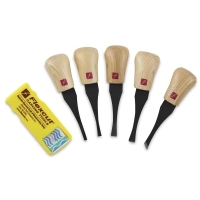 Their short, rounded handles fit securely in your palm for greater comfort and better control. The tools can perform a variety of tasks and carve moderate detail. ® Flexcut is a registered trademark.